It can be easy to rush through life without stopping to notice the simple, beautiful things. This music helps you pay more attention to the present moment; to your thoughts and feelings, and to the world around you. This can improve your mental wellbeing, help you enjoy life more and understand yourself better. If you feel stressed, anxious or negative, listening to meditation music can help you center your mind. It's easy to stop noticing the world around us. It's also easy to lose touch with the way we feel, to end up living “in our heads”; caught up in our thoughts without stopping to notice how those thoughts are driving our emotions and behaviour. 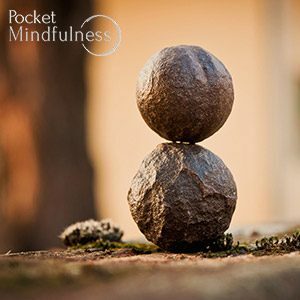 Mindfulness can help us reconnect with the mind and body and the sensations they experience. This means waking up to the simple things around us, and noticing our thoughts and feelings as they happen moment to moment. Mindfulness meditation allows us to see the present moment clearly. This can positively change the way we see ourselves and the way we think and feel. Becoming more aware of the present moment can help us enjoy life more. We begin to appreciate the little things more, to show gratitude for blessings that we usually take for granted. Being present enables us to stand back from our thoughts and start to see their patterns. Gradually, we can train ourselves to notice when our thoughts are taking over and realise that thoughts are simply ‘mental events' that do not have to control us. 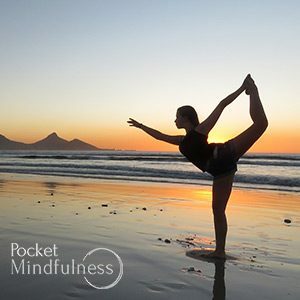 Use this music to help you let go and find the present moment, and to allow you deal with your thoughts and emotions more objectively.